BriAnn Tell Us About Your Experience On Maroon 5’s “Moves Like Jagger” Music Video. BRIANN RACHELE is a Utah born singer, actor and model. 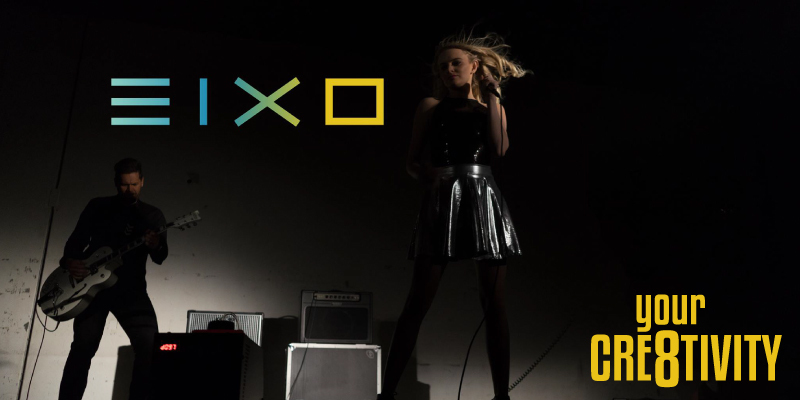 She started traveling the world as a full time model at the age of 16, moved back to Utah in 2015 and became the lead singer of Salt Lake City based band, EIXO, in early 2017. It’s been her dream to be a singer since she was a little girl but she gave up after an opportunity to work with rapper T.I. went south back in 2010. Her favorite day at work before her singing career was when she got to dance in the award winning music video for Maroon 5 & Christina Aguilera’s hit song, Moves Like Jagger. Now she’s living her dream with fellow band mates Gunther Fischli and Ben Faber, making their own music and music videos! GUNTHER FISCHLI was born in Brazil and moved to the USA to attend the University of Utah. He is an entrepreneur, having started several businesses, but always composing and recording original music in his home studio over the years. In 2016 he started Eixo by writing a collection of songs designed to connect with a wider audience by exploring relatable, universal feelings and beats that make everyone want to dance. Gunther is an avid outdoorsman, always riding motorcycles, mountain biking, skiing or whatever else gets the adrenaline going.